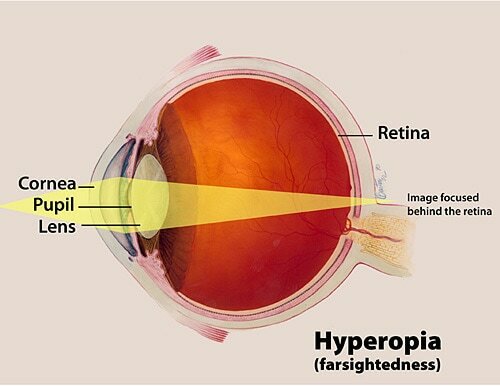 Causes and Risk FactorsHow does hyperopia develop?Hyperopia develops in eyes that focus images behind the retina instead of on the retina, which can result in blurred vision. This occurs when the eyeball is too short, which prevents incoming light from focusing directly on the retina. It may also be caused by an abnormal shape of the cornea or lens. Symptoms and DetectionWhat are the signs and symptoms of hyperopia?The symptoms of hyperopia vary from person to person. Your eye care professional can help you understand how the condition affects you.